Mesothelioma cytology reports can be used to help diagnose this rare disease. By looking at fluid samples under a microscope, doctors can find clues leading to a diagnosis. Cytology reports are used to test fluid samples for mesothelioma cells. These tests are less invasive than procedures requiring tissue biopsies and can provide more evidence for a diagnosis. 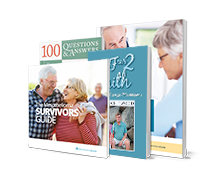 Getting the best diagnosis possible is essential to improving your survival rate. 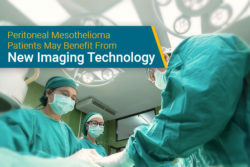 Imaging tests such as x-rays and CT scans have limitations when it comes to diagnosing mesothelioma. Cytology tests can further explain abnormal imaging test results and in some cases can be used to determine the patient’s cell type. Cytology reports only require a simple extraction of fluid buildup in the chest or abdomen in suspected mesothelioma patients. Patients can remain awake for the relatively quick procedure. If a doctor suspects a patient may have mesothelioma, they may order a cytology test before committing to a tissue biopsy. These tests aren’t as accurate as tissue biopsies but can provide important clues about the diagnosis. Cytology is the study of cell structure and function. Mesothelioma cytology evaluates the behavior of mesothelioma cells. 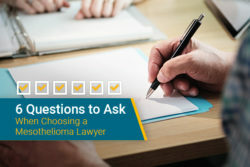 This process is useful for doctors in diagnosing, researching, and understanding mesothelioma. Mesothelioma cytology is referred to as “cytopathology” because it is included in the field of pathology—the study of the behavior of diseases. Cytopathology is the branch of pathology that studies diseases via fluid samples. Doctors must take a fluid biopsy from a patient to conduct a cytology report. Fluid samples are collected from patients when they begin experiencing symptoms of mesothelioma. Fluid biopsies are far less invasive than tissue biopsies, and the patient remains awake during the procedure. Fluid samples are collected through fine needle aspiration. Doctors don’t make any incisions during the procedure. Throughout fine needle aspiration, doctors use a syringe with a thin needle to remove fluid from a suspected tumor area. 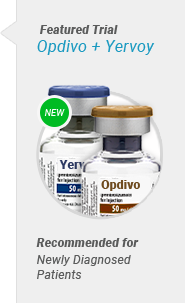 Meanwhile, patients can stay awake for the whole process with the aid of numbing medicine placed on their skin. How Do Doctors Test Fluid Samples? Preparing fluid samples can vary depending on the number of cells and amount of blood that is collected in the sample. Samples with a lower cell count will require a doctor to use a high-powered microscope to examine them. Blood-stained samples will require special solutions to dilute the blood. Fluid samples are put on slides and dipped into a collection of stains or chemical dyes. These stains start working in approximately one minute. Each stain is attracted to certain proteins in the cancer cell and causes a reaction that changes the cell’s color. When pathologists observe this under the microscope, they are able to assess whether the fluid sample contains malignant mesothelioma cells or not. By looking at the size and shape of cells, pathologists are able to compare samples to mesothelioma cell types. Research suggests that cytology is most useful in diagnosing epithelioid mesothelioma. This cell type makes up 70 percent of all mesothelioma cases. Epithelioid is known for being easy to distinguish due to its elongated egg-shape and defined nucleus. 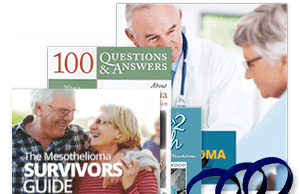 Although cytology reports can be useful to determine the next steps in a diagnosis, they cannot definitively diagnose mesothelioma. 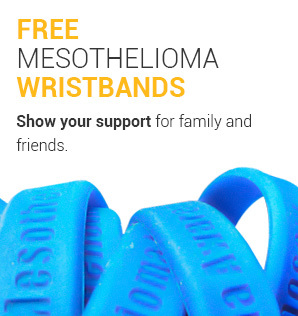 This is because sometimes it is hard to differentiate between reactive mesothelial cells and mesothelioma. 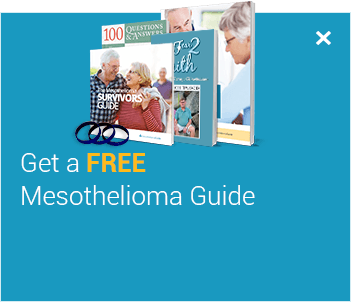 Learn more about how mesothelioma is diagnosed in our free Mesothelioma Guide. The overreaching limitation of cytology reports is the lack of accuracy in diagnosing mesothelioma. There are two predominant reasons cytology has limitations. 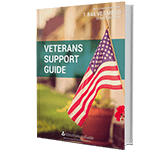 Not all cases of mesothelioma have enough fluid buildup to obtain a significant sample. If the fluid sample doesn’t have enough cells, it may not be possible to determine if the sample is mesothelioma or a disease with similar traits, such as adenocarcinoma. Cytology is also limited by the process of fine needle aspiration. It can be difficult to accurately aim the needle toward the area of suspected tumor growth and the sample size from a needle aspiration may not be sufficient to accurately diagnose. If the cytology report provides inconclusive results, the doctor will likely order a pathology report by way of a tissue biopsy. Histopathological tissue biopsies, according to one study, make up 98 percent of accurate diagnoses of mesothelioma, whereas cytopathological reports make up only 26 percent of positive diagnoses. There is a chance when a needle biopsy is used, depending on the cell type of the patient’s tumor, that only a few malignant cells are extracted. There is also the possibility that the needle will miss malignant cells altogether. This can, in rare cases, lead to misdiagnosis of the disease. This is why pathologists almost always request a tissue biopsy following a cytology report. Most pathologists are reluctant to make a definitive diagnosis unless a histopathology test has been conducted. 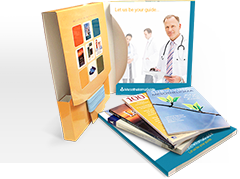 Furthermore, a pathology report includes the cell type of the disease which can help doctors determine the best treatment options. Pathology of mesothelioma. Environmental Health and Preventive Medicine. Retrieved from: https://www.ncbi.nlm.nih.gov/pmc/articles/PMC2698271/. Accessed: 8/17/18. Malignant mesothelioma - Malignant Effusions. Eurocytology. Retrieved from: https://www.eurocytology.eu/en/course/391. Accessed: 8/22/18. Pleural Mesothelioma - General. Pathology Outlines. Retrieved from: http://www.pathologyoutlines.com/topic/pleuramesothelioma.html. Accessed: 8/23/18. Last Edited: October 25, 2018.